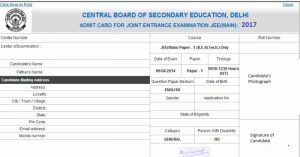 JEE Main Admit Card 2019– National Testing Agency (NTA) has released admit card for JEE Main 2019 April Examination on 20 March 2019. Applicants can now download their JEE Main 2019 admit card be entering their application number, password and security pin in appropriate blanks. JEE Main April 2019 Examination will be held on from 7 April 2019 to 10 & 12 April 2019 in Computer Based Test (CBT) mode at different exam centres located in different cities throughout the country and abroad. JEE Main Admit Card contains the name and roll number of the candidates along with the complete exam schedule, date and centre. 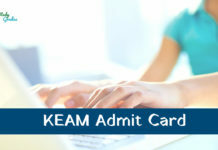 Hence, it is necessary to keep the admit card safe till the completion of admission process. The JEE Main 2019 Admit card has been uploaded online only on jeemain.nic.in, and no admit card will be dispatched through the post. Before downloading the JEE Main April Admit Card 2019, candidates need to enter their class 12th board/qualifying examination roll number and necessary details. 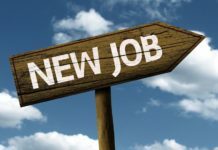 Candidates who have qualified the class 12th in 2018, should follow the same process. Direct link to download the JEE Main Hall Ticket 2019 has been updated here as well. Read the complete article to check the entire procedure and required details related to the JEE Main 2019 admit card. Click the provided link or visit the official website of JEE Main, jeemain.nic.in to download the admit card. 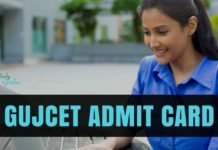 Click the JEE Main 2019 Admit Card link, hosted on the main page of the website. Click the “Submit” button to check the JEE Main Admit Card 2019 details. 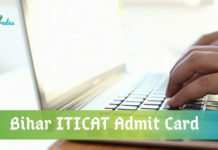 Admit card is the necessary document that every candidate must bring at the time of Examination. It contains personal information of the candidates along with the particulars of the examination and venue. Enter the correct details in the blanks while downloading JEE Main 2019 Admit Card. 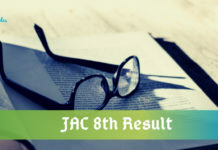 Stay Connected With StudyGrades for latest updates on JEE Main Admit Card 2019..! !